SEO stands for search engine optimization and has changed over the years. I have written a post about “Complete SEO Guide for Beginners” if you are just about to start your journey for SEO then I suggest you read it first. Because this post of mine has those search engine optimization techniques which I used over the years for optimizing my client’s websites and my blog. These search engine optimization techniques have worked well for me doing SEO for many websites. When I started doing SEO under a company, I use to do many things to get better ranking for the websites, our primary focus was on directory submission, blog commenting, social bookmarking and article submission but then suddenly things changed; Google had an update for penguin which changed many things, like some link building techniques. But still, there are many methods which we can use to get links. So, the techniques with which we were able to get better results for our websites were proper on-page optimization with long tail keywords, Guest Blogging, use of Latent Semantic Indexing (LSI keywords) and much more which I will state in the post. Focusing on the long tail keywords with low competition and high traffic will make the difference. In choosing low competition, the keywords will strike the ranking as quickly as possible and get us more traffic with least of our efforts. And long tail keywords has always done miracles for better results and better traffic. I alone have not experienced the same thing, but many other bloggers out there have experienced the same. Choosing a single word “keyword” takes a lot more time to appear up in the ranking even if the keyword has low competition on the Google. In my SEO experience, I have seen long tail keywords appearing up on Google’s first page in a single night and sometimes in some hours depending on the reputation of the website. Sometimes it gets difficult to find long tail keywords in your niche but trust me it will return your efforts with good results. How can you Find Long Tail Keyword? LSI is the use of synonym words to get rid of spam. Google considers spam if we use the keyword more than enough in a post. So to get rid of this, bloggers and webmasters use LSI. The LSI has not only helped me to get rid of spam using synonyms but also helped to get a little more traffic. You would have noticed when you search on Google for something with a word or sentence, then Google shows results for the same but with different words also. Let me explain you with the help of an example, when we search on Google.com “apple” then Google may show the results for same, but with different words depending on the kind of search done, it will come up with fruits, Apple iPhone which is a brand or something related to it. And in the same way, it can help you. You can read a full post on LSI to learn more about it. What is LSI and How to use? The use of the infographics has got me many good results. The use of images on my website with alt tag makes it suitable for every search engine. And the use of multiple images will also make the difference. Also, you can use these images for building high-quality links; there are many sites on the internet which accept infographics for their sites and share them. The best-known site for me is Pinterest, but you can find many similar sites on Google. Best reasons to add images to your website. Guest Posting or guest blogging can be done to get two things for your website. One thing it gets is a high-quality link, and another thing is a little more traffic to your site. There are many bloggers and community blogging sites where you can do guest posting. Guest blogging is one of the best technique for all search engine optimization techniques which has helped me to get more traffic and quality backlinks. But, the only thing is that one has to write content for guest blogging as if he or she is writing content for their website or I would say even better than the content we write for our blogs. I have written a post about Guest blogging tips and tricks which could help you become a good guest blogger. Many of the bloggers or marketers don’t use or use few social bookmarking sites to get links. But social bookmarking has worked well for me. I know there are some social bookmarking websites which delete the accounts within some months but having a link from those sites is worth. The concept of Link ghosts and link echoes works perfectly with social bookmarking. I prefer social bookmarking sites because of its easy submissions and instant approval quality. I have collected high PR social bookmarking sites which you can use. When we do social bookmarking, we don’t have to wait for the approvals to get our links approved. Social bookmarking is one of the best sources for getting quick links to a website for immediate results. Social Media Optimization is of one of the search engine optimization techniques which everyone is using these days. Use of sites like Facebook, Twitter and Reddit are helping them to get more engagements on their website. These social media sites also help to get quality links. The thing that matters most is the use of the Twitter card and open graph Meta tags for Facebook. There are many SMO sites which can be used to get more traffic and quality links. The Skyscraper technique originally invented by Brian Dean. I like this technique a lot although it has not yet got a success for me, it has helped me to get a better relationship with the bloggers. The skyscraper technique is the content and keyword targeting technique. It is a little complex and difficult technique to use but worth implementing. If you are interested in this method then here is the post for the same. Skyscraper technique to get more traffic. The only reason I am referring this technique is that it has helped to grow my traffic. The blog commenting can be used to get backlinks either Dofollow or Nofollow. I use the commentLuv enabled blog to get comments and comment on others blogs to get links to my website. Beside commentLuv, you can also use WordPress commenting system, Disqus, and livfrye. But commentLuv is the only tool that has helped me to get Dofollow links for my blog, and you can do the same. I have also collected some commentLuv blogs list which you can use to make links. Check this: How to get rid Spam Comments? There are many websites where you can respond to the questions of the people to attract more people towards your blog. The sites like wiki.answers.com, answers.com, Quora.com and more sites like these can work well for you. If you are a regular reader of different blogs, then you would have noticed that mostly all of the bloggers also suggest qurora.com. So, trust me Quora.com helps to generate more traffic, you will find many pro bloggers on it answering different questions. You can also respond to the issues and leave links as an external source for your replies. Another thing that works is yahoo answering; Yahoo still gets millions of visitors, and so you can. Answer the different kinds of questions at Yahoo answering to leave a link and create some good relations. Check: How to improve bounce rate for your website? Make informative slide about the content you want to share. Your slide must contain unique and attractive title to attract people. There are hundreds of slide sharing sites where you can share your slide to get traffic. Another thing is that you can share the same slide on different slide sharing sites. Creating a powerful presentation using the Google Slides. You can join many blogging communities to get more exposure. There are blogging communities which you can join, the communities which have worked well for me are inbound, indiblogger, and Blogengage. BlogEngage is a paid community but worth joining and if you are from India then join Indiblogger.in for better results. Even Triberr is a great community for bloggers to get more shares and traffic. Beside the above all; mentioned search engine optimization techniques which Worked for me is exchanging links with the blogger and webmasters o the same niche in a natural manner. I also conducted a roundup on the link exchanging which will help you to under the importance of it. Use Internal links. You can see the big sites with lots of internal links which passes the information from one page to another and even helps to get a good page authority. So, You can also check my blog that how I am interlinking my blog. I hope these Search engine optimization techniques work well for you, as they have worked for me. And if you have any question or query, feel free to ask. Seems interesting post there you have. I must say that few are really important techniques that is must use for having good results in the blogging in terms of traffic. I am going to start with guest blogging thing and hope that works for me. Hello Robin! Really amazing ideas! I will start using slide sharing now… Thanks for the useful ideas. Slide sharing is really a good way to connect and get more traafic. Thanks for sharing wonderful SEO techniques. In today’s competitive market SEO is more important than ever. Search engines serve millions of users per day looking for answers to their questions or for solutions to their problems. It’s an awesome post. Love the wide area you covered in discussion. Regarding LSI, what’s causing me problem is those green dots in Yoast SEO plugin. Google considers the synonyms and it can understand what that mean, but while writing posts, the plugins do not count synonym words and asks to use the keywords more to meet the required density. Also, I could not understand how infographs can help in SEO? They are images and search engines depend on your Alt tags, isn’t it? Yes, they can increase traffic, but are infographics different in any way from the other images we use in blogs? SEO by Yoast is really good but Lsi keywords is a little different thing and you can check my post on LSI to grab it perfectly https://www.trickyenough.com/what-is-lsi-how-can-you-find-and-use-it-perfectly/. This is really a worth sharing article you’ve written. You’ve mentioned all the keys in this article to boost the SEO. Really Thanks, I’m not aware about joining communities, skyscraper technique and slide sharing. Thank you for that. Wow, great post Robin! When you search for LSI keywords, do you use Google or some other, specialized program? Again i read your this article so I am be happy for all my question solved after read article. Great Post Bro. You always Post so Unique content and I feel very wonderful visiting your site as you always share things which a beginner want to know to make his blog perfect. I am too from Amritsar and want to know that do you arrange any workshop for beginners to teach them seo. I am Glad that you liked my posts. It’s really great that you are too from Amritsar, met the first blogger from my own city. And till now I don’t do any workshop but when I will do, I will surely contact you. This article techniques is really great, very useful. Thank you so much for sharing this to us. I am also doing guest blog posting for almost a 5 months. It really works well though you need to face lots of rejection. At now, I am having a hard time looking for prospects because I think I contacted all blogs that offer free guest posting. I still don’t have a budget to do sponsored posting. If you will write good content and I am sure there are a blog which will accept your post and that is without charging anything. You are welcome to my place and guest is blogging is my favorite technique for getting any quality links and more traffic. Good post. You have done a good job. Sharing those techniques which have worked for you is really awesome. Very effective and easy to understand tips. I follow almost all these SEO methods and really get positive results. By following effective SEO techniques, we can get great results in terms of improving website ranking and traffic. I am glad that you are already using these techniques and getting better results with same. I have definitely read articles and posts that overuse long-tail keywords and it’s so obnoxious! Even though that might make their post show up higher in search results, it makes me feel like their site or blog is so much less credible and trustworthy. How to find the long tail keywords. is their any free online tool available to check it ? I have crafted a post on how to find long tail keywords. You can check the same. Great post: Your post is full of a lot of valuable information that should be very helpful once it’s implemented . I am definitely going to start doing the long tail keywords and start doing the social bookmarking. Again thanks for the great points and relevant info. Long tail helps to get some quick results and You are welcome. Great article, Robin. All these tips here are really effective. SEO is a big matter and everyone try their own ways to do better. Without doing perfect SEO no one can rank on search engines like google. I try to use long tail keywords on my blog post and blog commenting is my most favorite way to get more traffic. Thanks for your excellent article. Whoa, all the techniques for search engine optimization are really interesting. I agree that it must use the longtail keywords for the blog post to increase traffic to your website. Nevertheless, the other tips on the list are important to incorporate as well. Hey, Thanks Robing for sharing us awesome search engine techniques I am first time visit your blog I read your post its really valuable for me. Great Post, I am going to try all these techniques to get better ranking. Thank you very much for explaining everything in detail. I am already using some of your techniques but skyscrapper method is new to me. I am going to adopt it for my blog. Hope it will work. I hope that it work for sure. Thanks for sharing this useful information with us. And I like the way you explain everything in an easy manner, I want to give you a huge thumbs up for it. There are also many techniques like Content creation, Links building etc. which can help you to rank your site in search engine. And I bookmark this page for future reading. Surely, I will be sharing more post. Just stay tuned. Here, I discovered 11 biggest SEO techniques which are impressive stuffs although. I’m using skyscraper technique and content marketing tricks anyway. I just noted few more important tricks as well. I just notice how you manage 11 things in one edition in the same dinner table. Do you’ve any more posts like this one? If you’ve then share the link in the reply. Love the way you work dude! Glad you reply dude! I would like to say thanks for your co-operation. It helps me more opportunities specially in SEO and content marketing. Do you’ve a twitter profile? @shakoat is mine. Feel free to cross follow each other. I went to each and every point mentioned. Impressive and eye opening, I underlooked Infographics. And now I am updating alt tags in all of my images. One thing I would like to add, BizSugar is also a good community for bloggers. Bizsugar is really a good help. And I am using it. Do you really think blog commenting is worth? I have tried Dropmylink but it comes up with only a few blogs which are worthless. Does commentluv works in reality? Yes, Blog Commenting is worth. And Commentluv is a great source to get some good traffic and good links. You must give it a chance, and I am sure you will see a bump in your referral traffic. Thanks Robin for your valuable info.I must say your techniques are firmly explained and it really signifies the present trend of optimizations technique.A proper optimization needs some serious brainstorming to get the utmost outcome.Your tips are really impressed me.It has helped me to acquire some good knowledge on modern SEO techniques.Thanks for sharing your views. I usually do guest blogging and blog commenting as my search engine optimization and it really drive traffic to my blog because i do it with quality, I dont do it spammy, people love to learn a sharing knowledge for me is a good SEO. Very interesting. Keep up the good work. I like how you mentioned long tail keywords. Those are relatively easy to find and rank for. Plus they give a more accurate idea of what people search online. Websites like Answerthepublic are very useful for this. Thanks, Robin for sharing these techniques with us. I’m surely going to implement some of these and hope to see good results. very good article .This is article very helpful for me. skyscrapper method is new to me, But overall you defined each and everything very well. 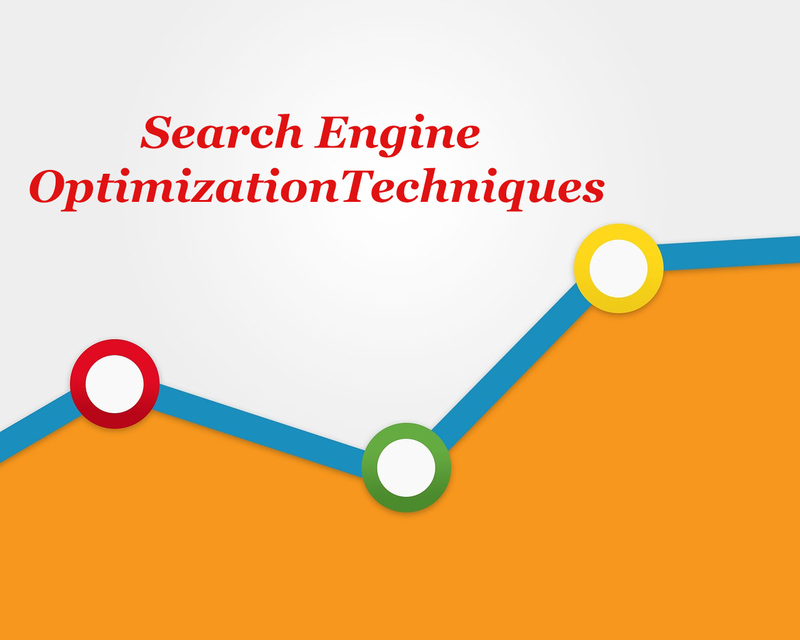 Best Article for Search Engine Optimization. LSI is the thing that I am devoting my attention to, a great way to avoid keyword stuffing. Quality content and proper keyword placement are very powerful factors. Like we all Said in SEO “Content is the King”. Thanks for sharing Robin!